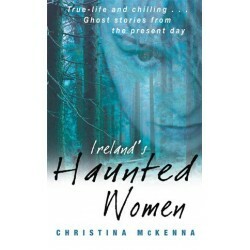 Ireland’s Haunted Women tells the chilling tales of nine modern Irishwomen, and one young girl, who have experienced hauntings. This is not just another ghost book – no rehashing of old tales or stories borrowed from other collections. These cases are told here for the first time, collected from women the length and breadth of Ireland – women who are vulnerable to seeing ghosts, to house-hauntings and to demonic possession. We have come a long way from headless horsemen, pookas, banshees and the like. The modern ghost has to be more sophisticated than that. On the other hand, poltergeist activity has remained virtually unchanged down the centuries; scenes of past wickedness continue to haunt the living; the spirits of the deceased stubbornly insist on returning.Riveting, suspenseful, these tales of the paranormal will draw you in and leave you petrified! Whether you accept them as truth or reject them as delusion or false memory, we guarantee that they will leave you shaken and slow to switch off your bedside lamp for many nights to come. Christina McKenna There is 1 product.